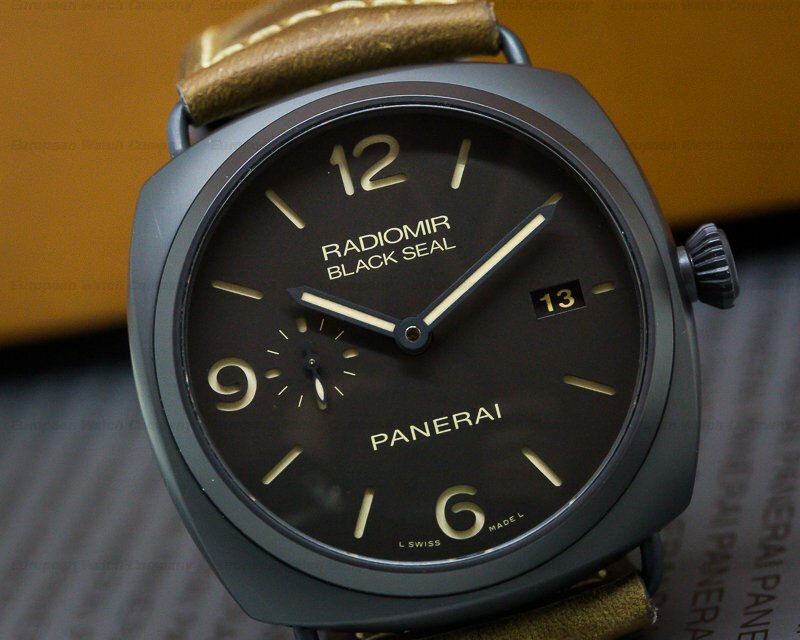 This is a composite ceramic Panerai Radiomir Composite Black Seal PAM00505. 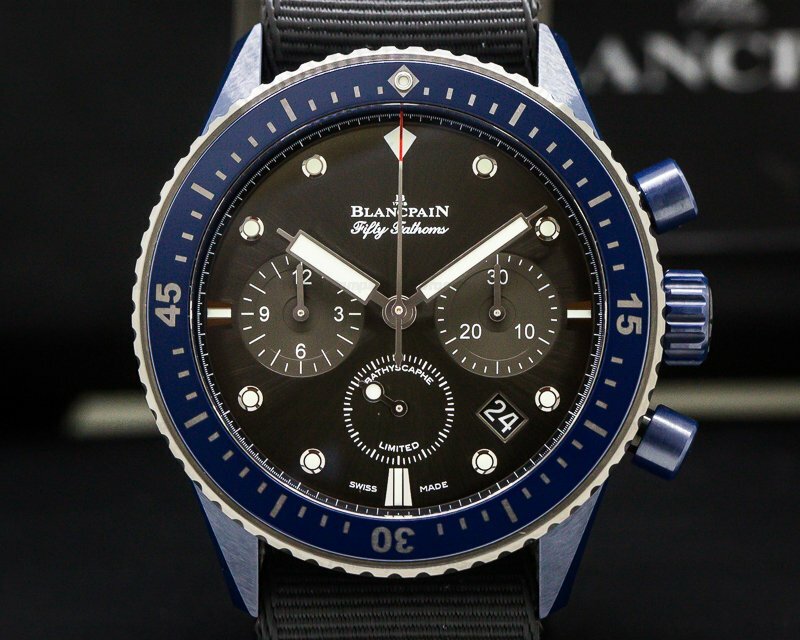 It has a leather strap with a ceramic tang clasp, and scratch resistant sapphire crystals. 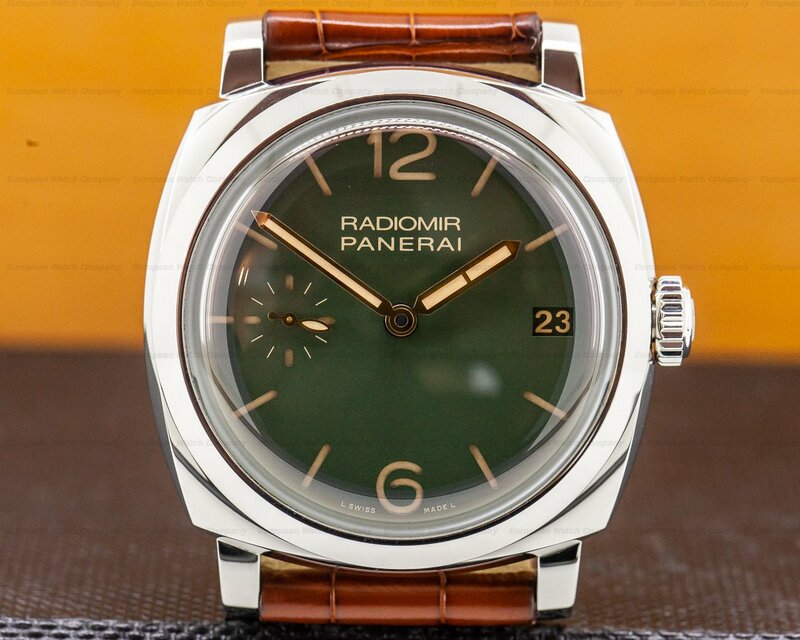 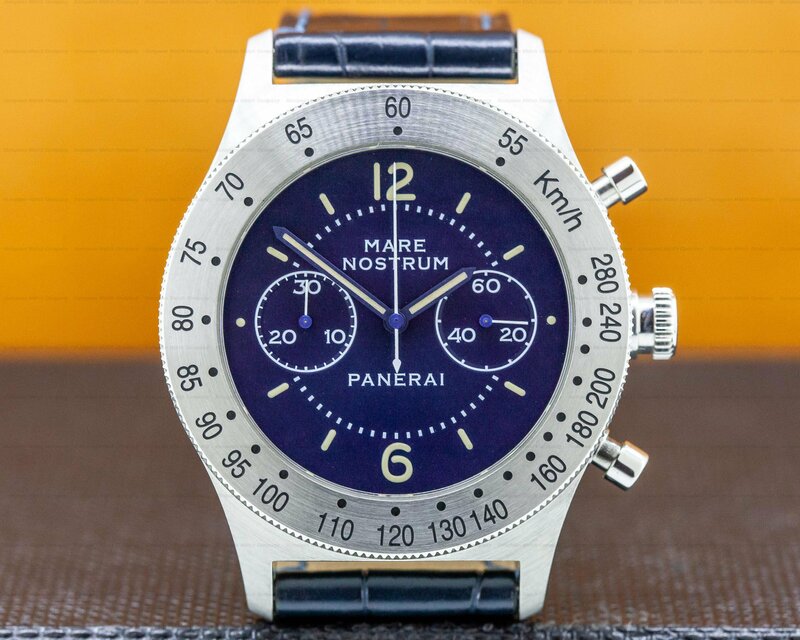 It includes a screw down winding crown, and an exhibition sapphire display case back secured with four screws, and engraved with "OFFICINE PANERAI – RADIOMIR COMPOSITE – 100M," a serial number and hallmarks. 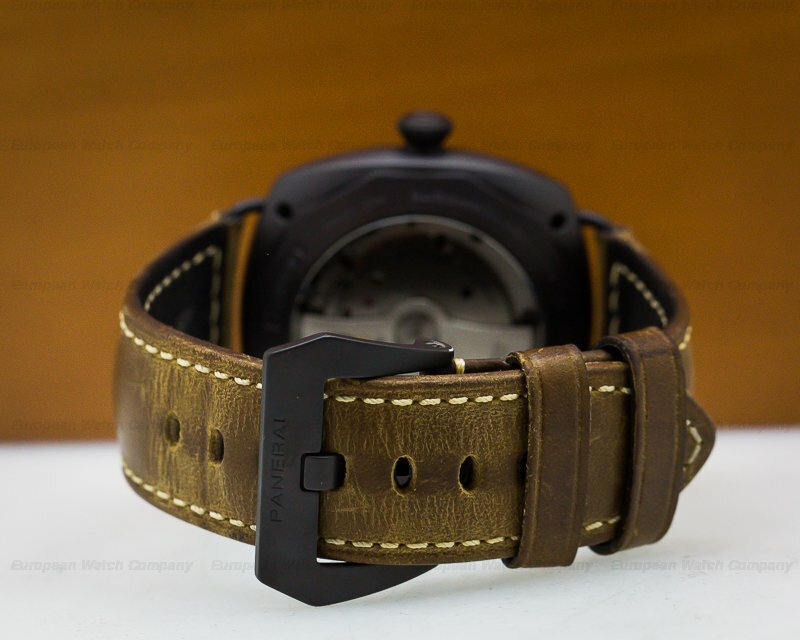 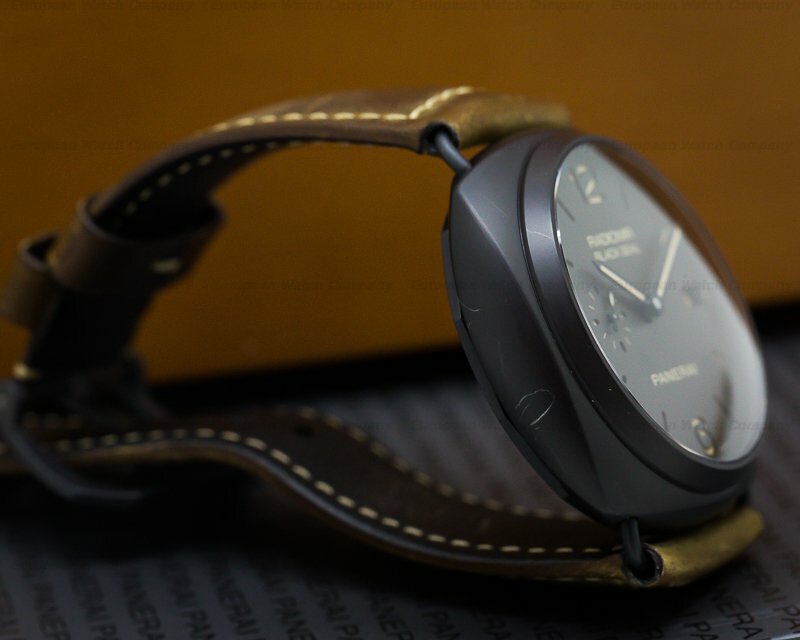 The 45mm square cushion-shaped dark matte brown two-body case, looped wire lugs, and convex bezel, are matte ceramic. 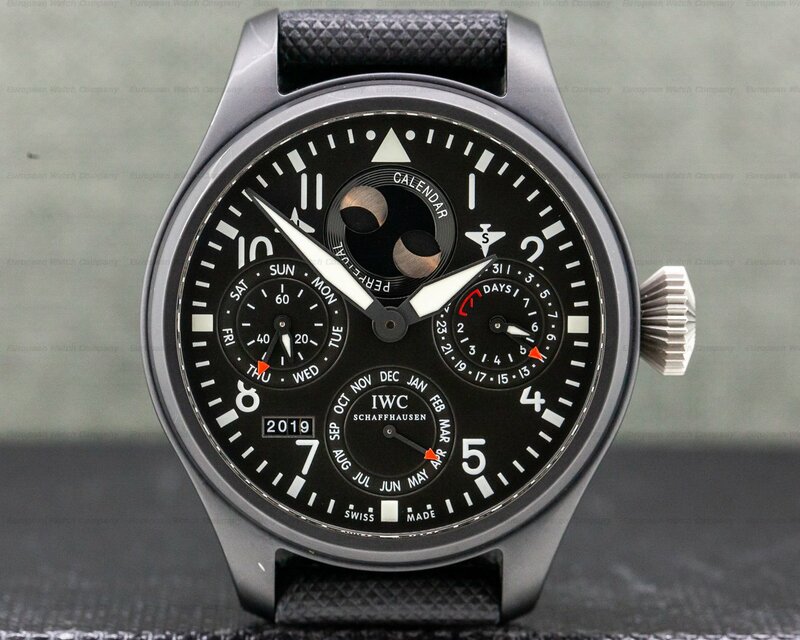 The dial is dark brown with sandwiched luminous Arabic numerals at the quarter hours, and baton hour indices. 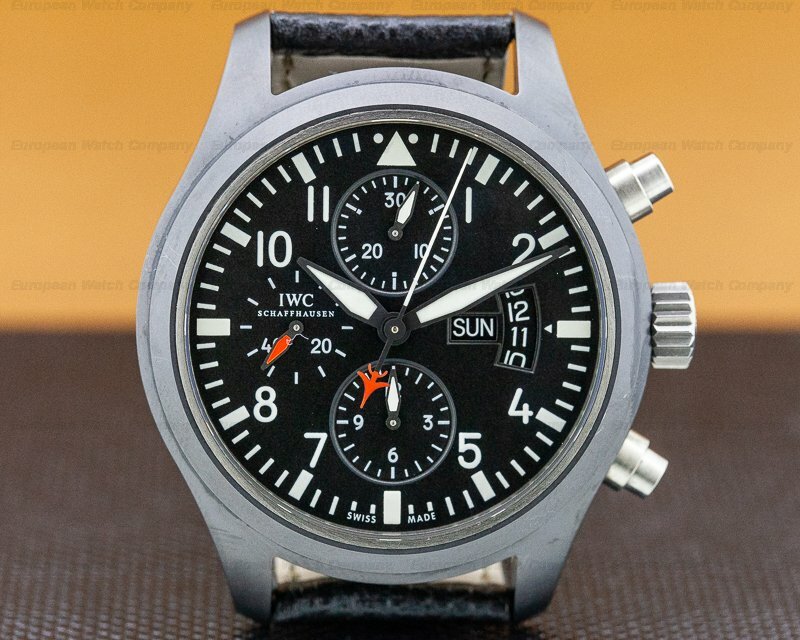 It has luminous steel baton hands, and there is a date aperture window at the three o'clock position. 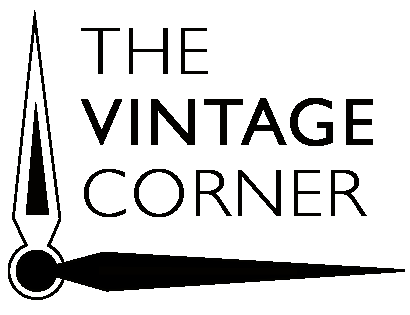 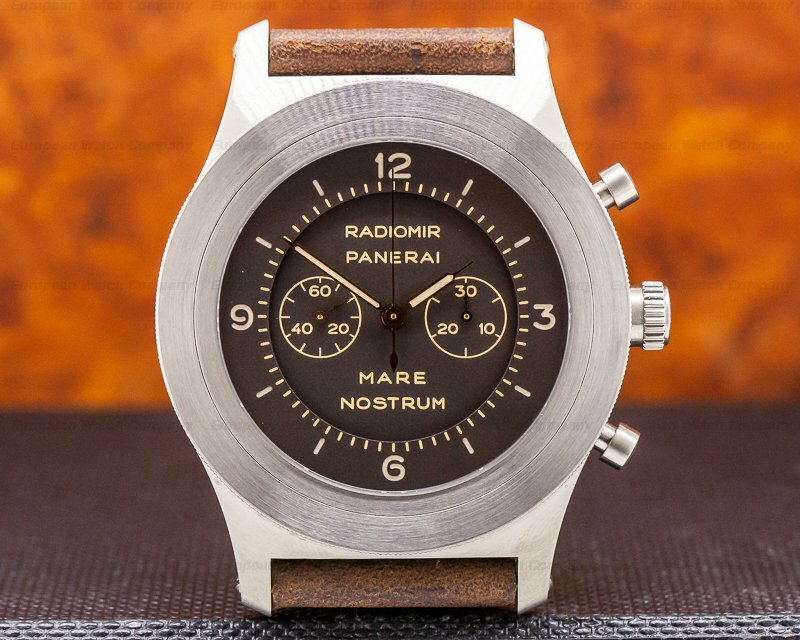 A dark brown recessed subsidiary dial for running small seconds is at 9 o'clock. 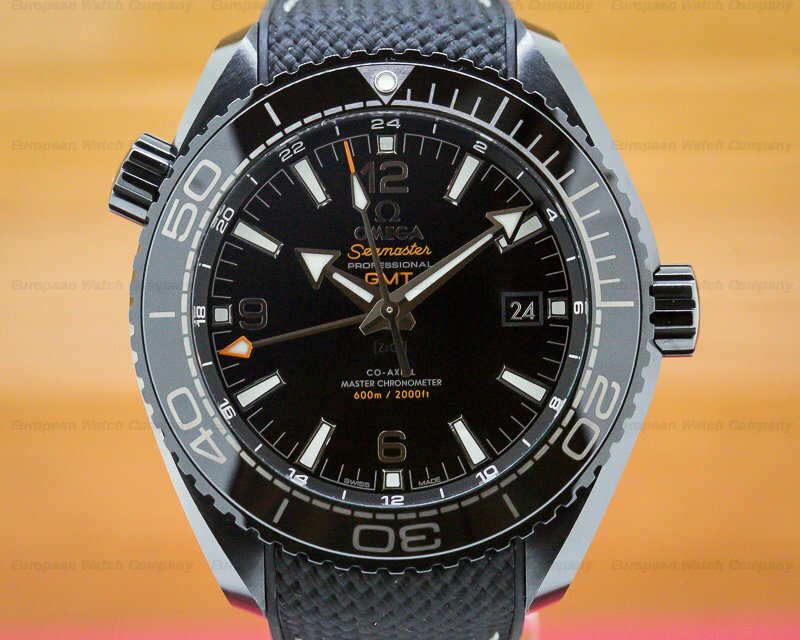 It includes a Certified Official Superlative Chronometer (COSC) rating, and it's water resistant to 100 Meters/330 feet. 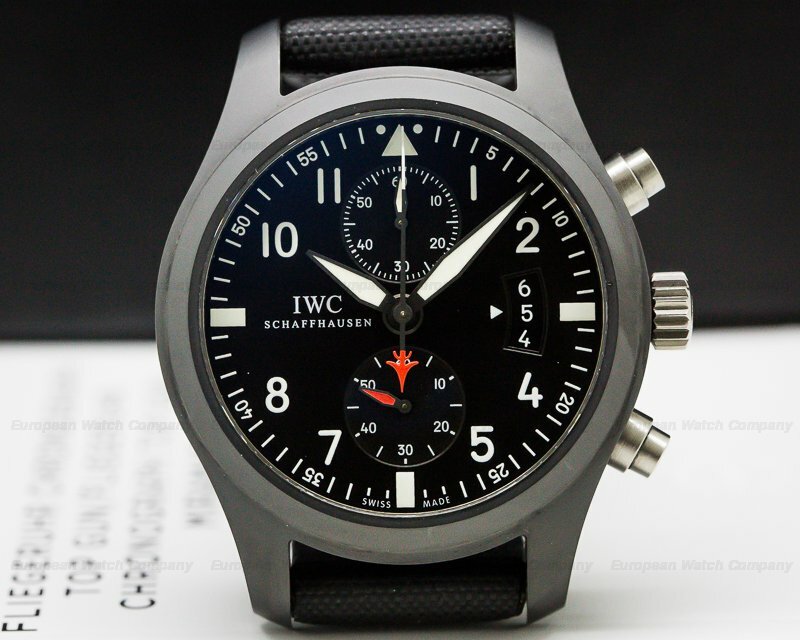 It has a 3-day, 72-hour power reserve at full winding, and the 13.8mm thick case, dial, and movement are all signed. 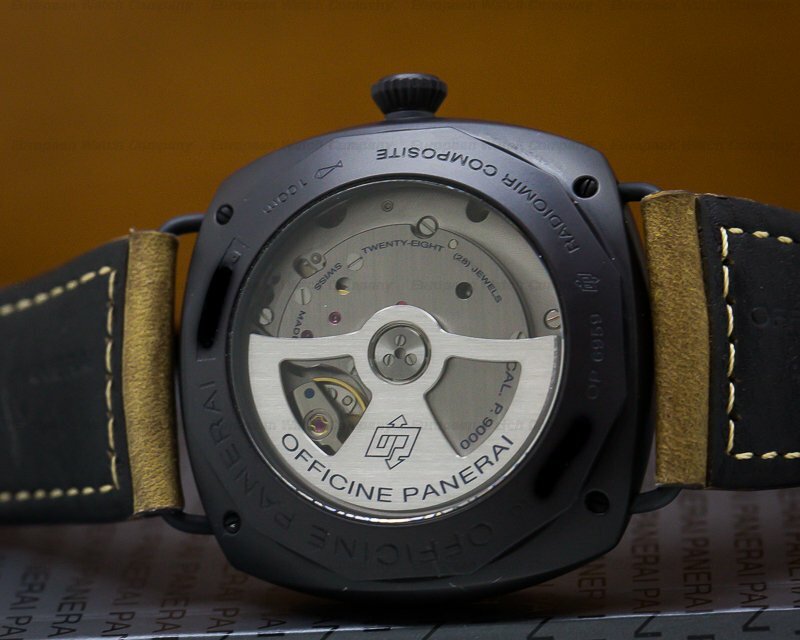 This Panerai Radiomir Composite Black Seal PAM00505 has a mechanical automatic self-winding Panerai caliber 9000 movement. 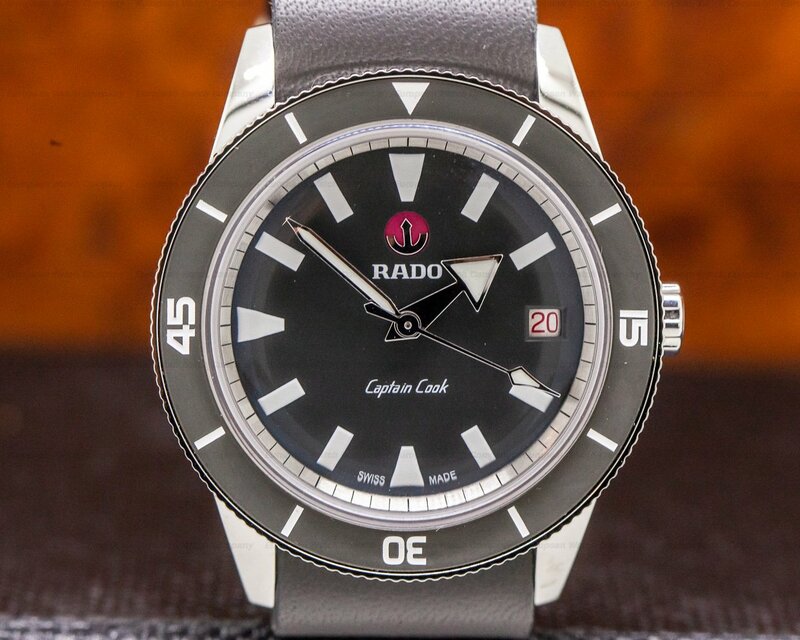 It's rhodium plated and it's constructed with twin barrels, 28 jewels, 197 components, a monometallic Glucydur balance that's adjusted for heat, cold, isochronism, and 5 positions, and an Incabloc anti-shock device. 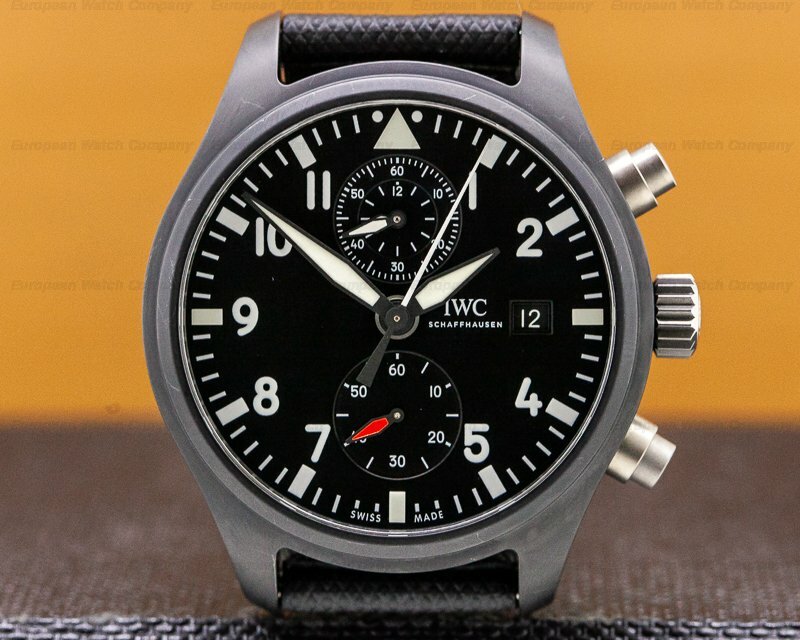 It includes a balance wheel with adjusting screws, a bidirectional rotor, an index regulator, and a stop seconds device for precision time setting. 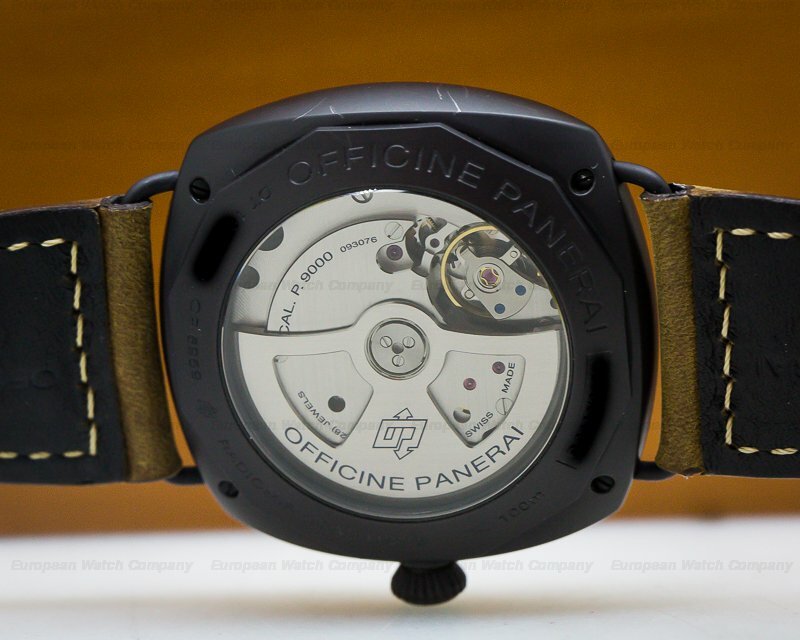 The mechanism oscillates at a frequency of 28,800 vph (4 Hz). 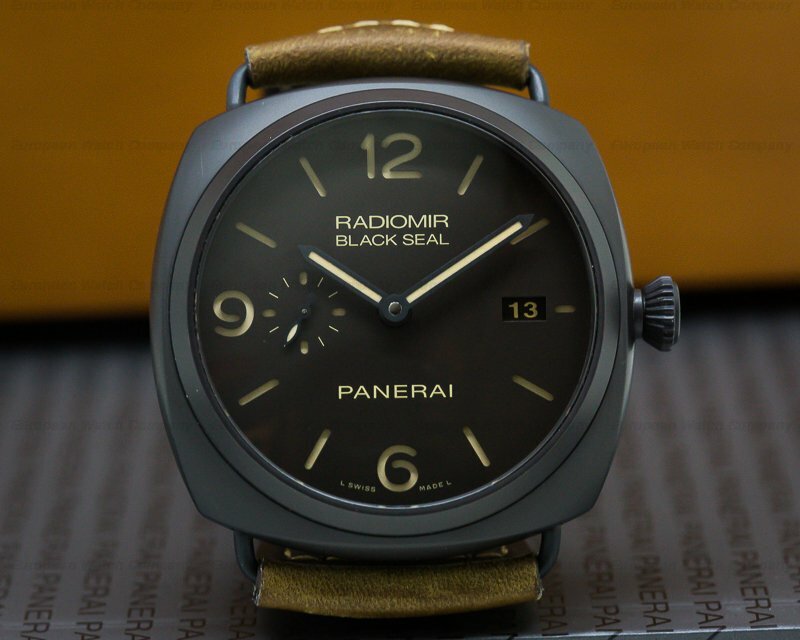 The Panerai Radiomir Composite Black Seal PAM00505 was introduced in 2012. 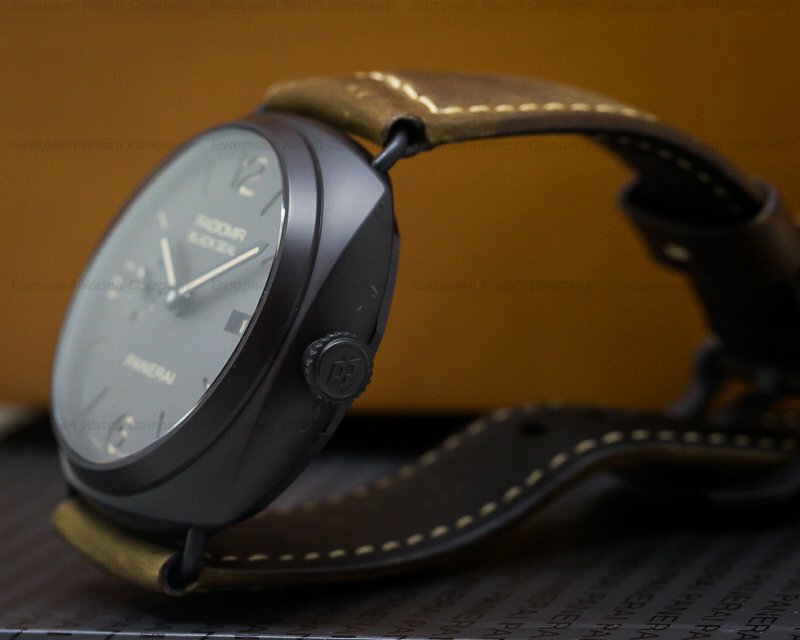 Black Seal was a nickname that described the slow-speed "human torpedo" midget submarines utilized by the Italian Navy during World War II; they wore Panerai watches.